And with those words…Holy Week began. 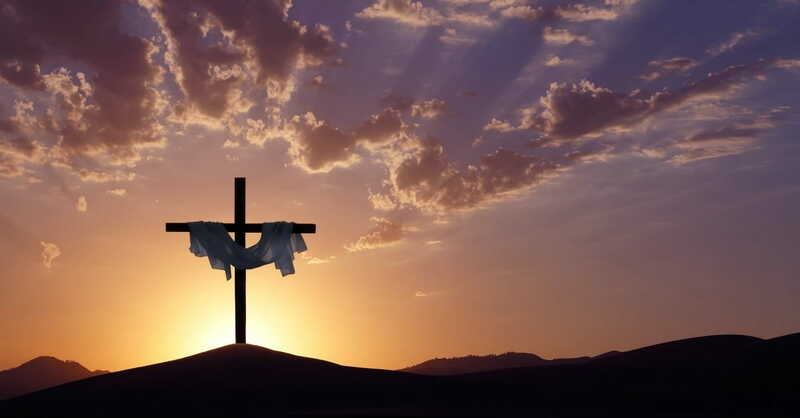 As we begin Holy Week and head toward Easter Sunday, let’s remember the events leading to Christ’s crucifixion and resurrection and acknowledge their meaning. On the Sunday before His crucifixion (Palm Sunday), Jesus was welcomed into Jerusalem with coats and branches laid at His feet and people praising Him. Those shouting Hosanna, or “save us,” were looking for an earthly warrior to rescue them from the harsh Roman rule. Today, when we shout Hosanna, we recognize that Jesus came to be our personal Savior, to save us from the penalty of our sins. So on Palm Sunday, as we celebrate Jesus’ triumphal entry into Jerusalem, we’re lifting our Hosannas to the only One who can truly save our lives. The Thursday after Palm Sunday (or Maundy Thursday), Jesus and His disciples met in the upper room to observe the Passover, now known as “The Last Supper.” After washing His disciples’ feet, Jesus held communion with them. He charged His disciples to eat the bread while thinking of His broken body and to drink the wine while thinking of His blood (Luke 22:19-20). Imagine how mystified those men must have been until the events of the next day unfolded. After praying passionately in the Garden of Gethsemane in the late hours of Thursday night into Friday morning, Jesus was then betrayed by Judas and arrested. Over the next few hours, He was abandoned, falsely accused, beaten, mocked and condemned to death. And those who just a few days earlier were hailing Him as their King were suddenly yelling, “Crucify Him!” How many of us have just given up after experiencing only a fraction of the hatred and opposition He endured? Yet knowing what lay ahead of Him, He stood there silently and humbly. Wearing nothing but a crown of thorns, Christ was hoisted up on a cross to hang in humiliation and endure an excruciatingly painful death. He was the Lamb of God, the ultimate sacrifice for the sins of the world. “He made the one who did not know sin to be sin for us, so that in him we might become the righteousness of God. - 2 Corinthians 5:21 CSB How great His love for each of us must truly be to have taken the punishment we deserve upon Himself! We’re like tiny grasshoppers compared to Him (Isaiah 40:22), yet He cared enough to do all that for us. This is why we must never forget how awesome His love is! Holy Week is about remembering the only One who is truly holy - Jesus Christ. This week, let’s take time to gratefully remember and keep alive in our hearts what Jesus, the perfect Lamb and the risen Savior, did for us years ago. He came. He died. And He rose again, so we could live in eternity with a loving God who gave His life for us in the greatest way possible.